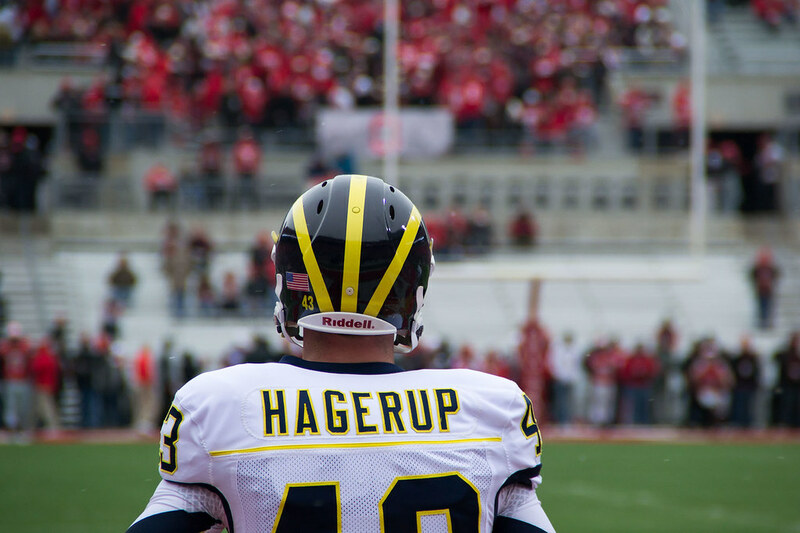 Probably the last time we see Hags in a Michigan uniform. Michigan football senior cornerback J.T. Floyd (Greenville, S.C./J.L. Mann), senior linebacker Brandin Hawthorne (Pahokee, Fla. (Pahokee) and junior punter Will Hagerup (Milwaukee, Wis./Whitefish Bay) have been suspended for the Outback Bowl game against South Carolina for a violation of team rules and will not travel with the team. "It is an honor to play football for the University of Michigan, and we have high standards and expectations for everyone that represents our program," said Michigan football head coach Brady Hoke. "These young men used poor judgment in each circumstance, and these suspensions are teaching moments for our team." Looks like we actually may need Dennis Norfleet to play CB now. This is unfortunate, especially for Hagerup, who's already on thin ice with the current administration. Not to be outdone, South Carolina also suspended two players for the bowl game.